It's for a good cause... YOU!! Can you Hike/Walk/Run 1000 miles in from Spring to Winter (3/20 - 12/20/2019? Do all the miles yourself or split them up on a team up to 4. Improve your life and health while helping others. The 1000 Mile Challenge is not a race or competition, but a world wide group of people dedicated to accomplishing common goals!! 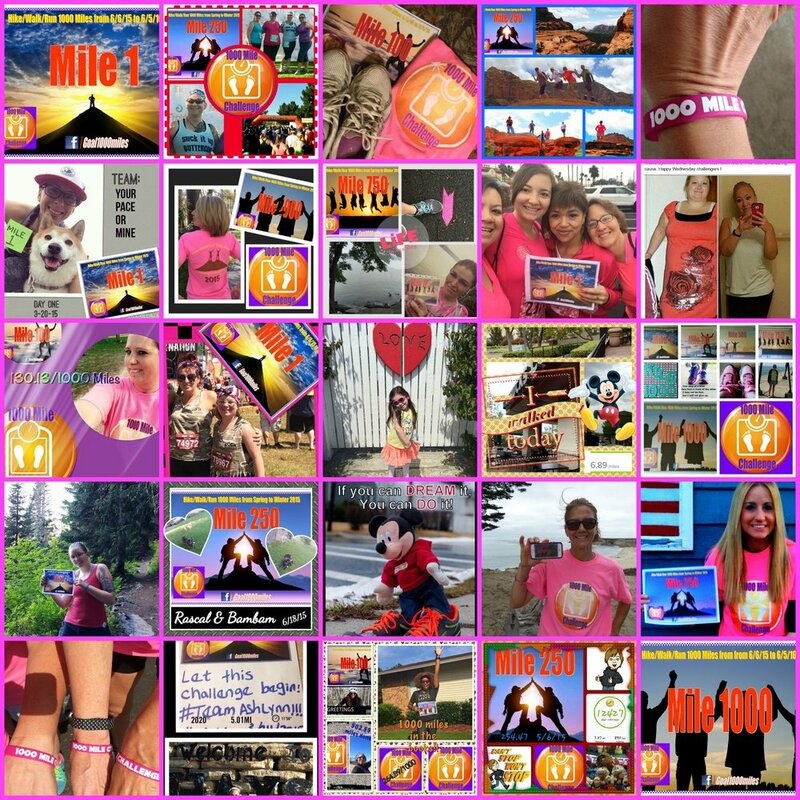 The 1000 Mile Challenge, has granted the wishes of 6 children with life threatening medical conditions, dug wells to provide clean water for children and families in Africa, and financed "Blessing Bundles" for children with cancer in hospitals. The National 1000 Mile Challenge was created to promote hiking, walking and running in the great outdoors. Also earn 25 cents a mile for major National Charities with the Charity Miles App!! Ready to get started? Register today! !